The last time we had one of these federal election things — just two and a half years ago — the United Party of Canada didn't even exist yet. They didn't come together until late in 2009, founded by a group of people from across the political spectrum who were frustrated by the rigid ideologies of the major parties. For the most part, it seems, they believe in a strong federal government, with progressive social programs and environmental policies. They also emphasize fiscal responsibility, domestic manufacturing and expanding foreign trade — especially with our partners in the Commonwealth and the Francophonie. Poke around their website and you'll find that they'd also like to get rid of the penny, decriminalize marijuana, and adopt a Guaranteed Minimum Annual Income. A few months ago, they got their first electoral experience when the leader of the party, Brian Jedan, ran in the Vaughan by-election against Julian Fantino. Fantino won it for the Conservatives, while Jedan — whose previous passion was for construction work — got 55 votes. That was good for 0.1% of the ballots cast in the riding and 8th place of the 8 candidates who ran. In this election, he'll be running against Jack Layton in Toronto-Danforth. How would you describe your party to a voter who isn’t already familiar with it? I would describe it as a pragmatic or practical party. We don’t believe in being tied to ideology in seeking solutions to national problems. Instead, we want to take into consideration the various factors that create problems and then look at all the possible solutions. We believe this party should appeal to a wide range of practical people who are not happy with the current choices. Democracy and whether we want a real democracy or a pseudo democracy in which two party leaders vie for absolute power. Democracy is far more than simply voting or a game, as many partisans seem to think. It is participation in our political process on a regular basis either through parties or other organizations. The least important issue is the focus on coalition. Politics is the art of conciliation, compromise, and working together to solve national problems. If a coalition is needed to make that happen then it is a viable option. Our system should never be solely about the absolute power of one party to do as it wishes. The main flaw is the way in which partisan advantage has replaced good accountable government. What’s your response to people who suggest that voting for a lesser-known political party is tantamount to throwing your vote away? This is the traditional argument of the established parties to convince people to accept the status quo. It has always been new parties that have brought new ideas and new ways of looking at government into the public domain. Granted, the established parties have enacted a whole range of funding laws that makes it increasingly difficult for new parties to achieve success. Social media may be one means of getting around the roadblocks the established parties have put in our way. Your interest in the party, and that of others who have contacted us, makes this election a success for us already. When you are just starting out, small advances mean a great deal. We hope that we can change the direction of party politics. We would like to return it to the “rank and file” or “grassroots” or whatever name you give the general membership. The established parties have centralized power in the leader and a small number of advisors. The role of the general membership is to give money and help out during elections. The rest of the time all they have to do is follow the leader. That does not create a dynamic political organization. We want a party through which we can freely discuss, debate, disagree, compromise, and finally come to a decision on issues by consensus or democratic vote. Our policies have been put out there for discussion and debate. I hope that we could be a voice for Canadians and that we would have such a large and engaged membership that we could elect MPs to Parliament. 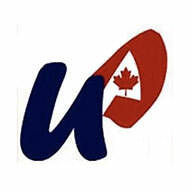 You can visit the United Party of Canada online at www.unitedpartyofcanada.com.